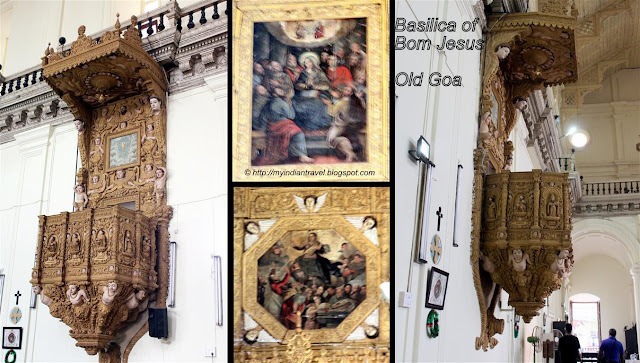 The Basilica of Bom Jesus is one of the oldest churches located in Old Goa. This is India’s first minor basilica and its construction began in 1954. The architecture of the church is one of the best examples of baroque architecture. The entrance of the church is very ornamental. The church with simple interiors has marble flooring inlaid with precious stones. The main altar holds a large statue of St. Ignatius of Loyola, the founder of the Society of Jesus. The church holds the mortal remains of St. Francis Xavier. He died on Sancian Island while en route to continental China in the year 1552. His body is placed in silver casket on top of a mausoleum. It was designed by the 17th-century Florentine sculptor Giovanni Battista Foggini. The church also holds paintings of scenes taken from the life of St. Francis Xavier. Awesome. 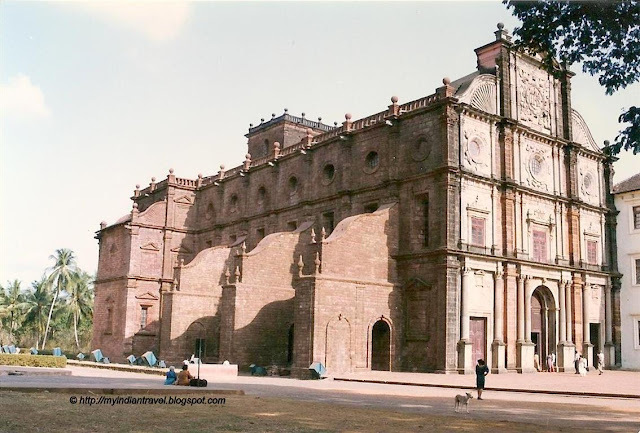 Nice to read about "Basilica of Bom Jesus"
Love the intricate design, really lovely build. Greetings! Love the artworks on its exterior and interiors. Although different to the temple and palaces you normally take us too this is a very interesting edifice indeed. Thank you for another interesting tour. Wow that is an impressive church. Beautiful both inside and outside. Had no idea this was in India. My father, a lawyer, was educated by Jesuits, so I grew up familiar with St Ignatius. I always look forward to viewing your photographs. How fascinating that a Saint Francis Xavier's remains are there. It is a beautiful church. So interesting structure, lovely architecture of the building and so great aspects captured! Thank you for sharing! A nice weekend!